I don't know what it is with me and the moon, stars and the sky. I seem to associate everything about myself to that and am constantly inspired by it. My blog name, my personality, my studies (astrophysics), some of my preferred activities (lying in the grass staring at the sky and star gazing), my favorite quote (which can be found in the attribution right at the bottom of this page)... and even my decor ideas. As part of our home decorating project, we ended up painting all of the bedrooms in our home powder blue because I find it peaceful... perfect for a bedroom don't you think? Anyway, every time I enter our bedrooms now, all I can think about is the sky, so I figured I could do some decorations around that concept. I originally wanted to do some sort of mobile for my baby, but seeing as his bedroom walls were completely bare (and he already had a mobile) I figured I could make something else with the materials I had. Let me introduce to you, the cork wall hanging. Pretty sweet if you ask me. You can use any patterned fabric you like, and use anything you want for the falling strands (flowers, pompoms, leaves, charms). You can even pin things on the cork board if you want (like photos or notes)! This project is super easy to do, you could even ask your kids to help! 1. Cut your fabric to fit the cork board and staple it on tightly. 2. 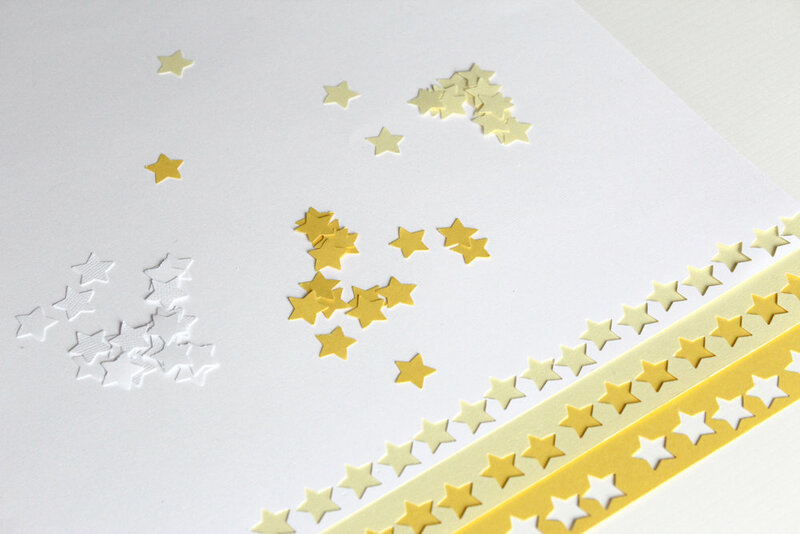 Using the desired paper punch, make cuttings from the colored paper of your choice. 3. Glue the paper shapes together (or sew them), whatever you prefer. 4. Staple the strands of paper punches to the cork board and add a piece of rope to the top to hang it. This was such a fun project. It's super quick and very versatile. What would you pin on your cork wall hanging?